Each week Glimpses will focus on a cool thing happening in or around Charleston. Check it out! Looking for something fun or unusual to do in Charleston this weekend? You can find a full slate of events here. Charleston is a fantastic city for Halloween. Come party with all the ghosts in this very haunted city. To find out what’s happening for this fun holiday, check it all out here. THIS EVENT WAS ORIGINALLY SCHEDULED DURING THE WEEKEND OF THE FLOOD… AND NOW IT’S TIME TO THANK JOE! 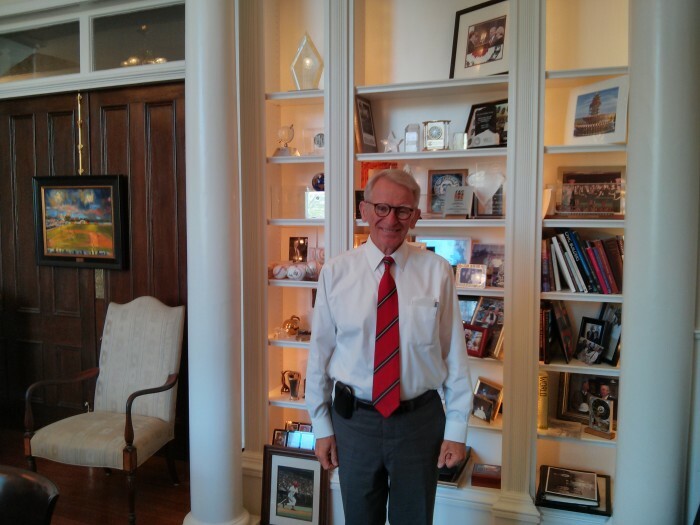 Mayor Joseph P. Riley, Jr., one of the most significant leaders ever in Charleston, is wrapping up his 40 years in office. Yes, 40 years! While he has been called “America’s Mayor,” he is pretty much just “Joe” to the people of Charleston. So to thank him for all his service and the amazing accomplishments of his years in office, this Sunday, October 4th, everyone is invited to go to the appropriately named. “Thanks, Joe!” event at Brittlebank Park. From 3:00 to 7:00 there will be chances to hang with Joe, eat some great food, ride a 50 foot ferris wheel and enjoy a lot of live music. Following that, from 7:00 to 9:00, the party will move into the baseball stadium (yes, Joseph P. Riley, Jr. Park) for more music, food and drink… and a fireworks show. The cost to the Brittlebank event is FREE, and it is $5.00 to get into the party at The Joe. Come get a selfie with Joe, have a whole lot of fun, and say “thanks” to the man himself for all he has done. For complete information, check it out here. Despite the recent storms, there is lots going on in Charleston. You can see a weekend calendar here. 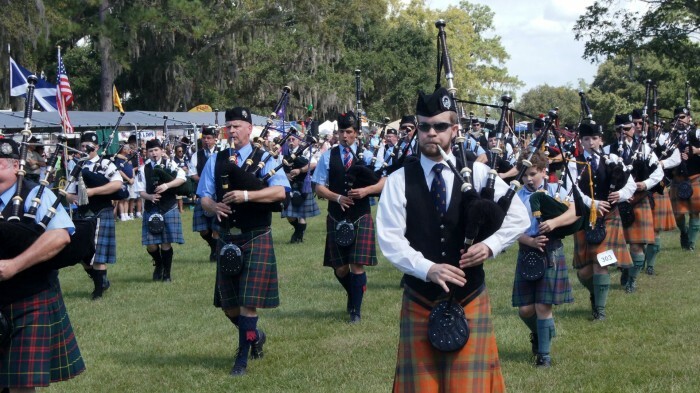 The Charleston Scottish Games and Highland Gathering is back at Boone Hall Plantation for its 44th year, making it one of the oldest Scottish games celebrations in the Southeast. Hosted by the Scottish Society of Charleston, it’s the culmination of quite a few days of Scottish related activities. There will be lots of big guys in kilts tossing heavy things around, music, dancers, lots of kid’s activities and the ever popular Border Collie demonstrations. You can find the full slate of activities here. The cost of admission is $25 for adults, $5 for children (12-6) and younger than 6 get in free. Boone Hall is located at 125 Long Point Road in Mount Pleasant. You can buy tickets and find more information here. There is always lots going on in Charleston this weekend. You can check it all out here. With lots of things going on in Charleston this Labor Day weekend, a great source of all things to do can be found on the Post & Courier website. If you have ever wanted to stomp on a grape or let your inner Lucy Ricardo out, do we have an event for you. 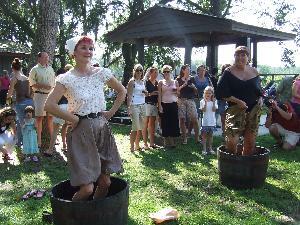 This Saturday, from noon to 5:00, Irvin-House Vineyards hosts the 12th Annual Grape Stomping Festival, including a Lucy Look-A-Like contest. Go squish some muscadine grapes, or better yet, do it dressed as Lucy. Food options will include Chucktown Mobile Seafood, Costal Crust, Home Team BBQ, Korki’s Cafe, Sweet Lulu’s Bakery, Old Salt Gourmet Pretzels, King of Pops, and Ben & Jerry’s. Music will be provided by Rawberry Jam and Pierce Edens. There will also be wine tastings, as well as the offerings of Firefly Distillery. Kids’ activities include face painting, jump castles and more. It’s a relative bargain at $10.00 per car. So break out the clown car and head out to Wadmalaw Island. You will find the Irvin-House Vineyard at at 6775 Bears Bluff Road on Wadmalaw. For a full listing of what’s happening in Charleston this weekend, you can check it out on the Scene. While this may not be the most kid-friendly event we suggest, it sure looks like a lot of fun for those of drinking age. 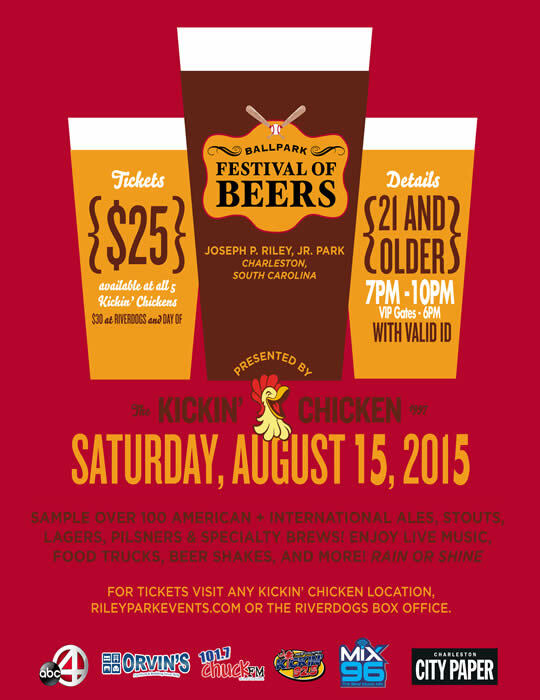 On Saturday, August, 15th, Joseph P. Riley, Jr. Park (better known as “The Joe”) will be transformed into a beer mecca. There will be a shocking number of different beers to enjoy (check out the list of participating brewers and their beers), all sorts of food and entertainment, games and more. The first 2500 people through the gates will receive a commemorative sampling glass. Being responsible folks, there is a discounted Designated Driver ticket — and complimentary soda or water, to help make sure everyone gets home safely. Taxis will also be on site, as well as Co-Pilot Designated Drivers, who will get you and your car home without a problem. You can even book a nearby hotel room at a discounted rate. Tickets are $25 if bought in advance and $30 at the gate. To enjoy all the fun, without the alcohol, Designated Driver tickets are $15. A VIP pass (with some nice VIP perks) is available for $50. Gates open at 7:00 PM (6:00 for the VIPs) and the event runs until 10:00 PM. The Joe is located at 360 Fishburne Street. For all the information click here.